Strathisla Scotch Whisky Distillery first produced whisky in 1786 and was bought by Seagrams in the 1950's. 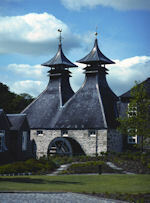 It is the oldest working distillery in the Highlands of Scotland which dates back to 1786. The distillery is owner by the Chivas Brothers and is just one of the distilleries that they own. It has just been awarded Five Star status by Visit Scotland. 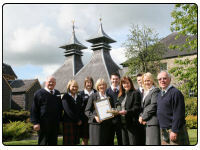 Strathisla Distillery has a amazing visitor centres and achieve the highest Visit Scotland accolade in the past year. The distillery contact details are Strathisla Distillery, Keith, Banffshire AB55 3BS and their telephone number being +44 (0)1542 783042. The distillery has a special tour available which lets the visitors learn more about the Strathisla malts and blends. When you arrive at the distillery you are welcomed to a Chivas Regal 18 Year Old and when leaving you have a choice of other top drams including the Strathisla 12 Year Old. You can receive more details about the tour of the distillery by writing to the address above or calling the distillery on +44 (0)1542 783044.